The technology which utilizes the physical properties of light by modulating a light signal with voice or data and sends it through a fiber by the virtue of Total Internal Reflection (TIR) is referred to as ribbon fiber optic cable technology. The growing demands for increased data transfer speeds over a network with minimum data loss have prompted the need for implementations of fiber cables. One of the key drivers for the growth in the ribbon fiber optic cable market is the rapidly increasing data traffic. Also, due to the lower installation time and high coupling fiber cable capabilities, the ribbon fiber optic cable has become an ideal tool for data centers as well as limited space indoor environment. Ribbon fiber optic cable has a huge demand in growing economies like China, India, and Brazil due to the presence of a developing digital ecosystem that generates high data. For a detailed report on the ribbon fiber optic cable market, contact [email protected]. Today, fiber cables are used to transmit video along with voice and data. Increasing deployments of data centers in various parts of the world have significantly led to a surge in the usage of ribbon fiber optic cable communications. Additionally, upcoming technologies where data is transferred in real-time require high bandwidth medium for broadcast. Ribbon fiber optic cables help in fulfilling such high bandwidth requirements. Ribbon cables are also being used for indoor applications such as telecommunication room, data centers, buildings and servers among others. Indoor applications offer low risk of damage than outdoor applications thus, dry ribbon fiber optic cables are in much demand as they do not have to be gel-filled to offer extra protection from water or moisture. Fiber cables have proved to be useful in recent times due to data explosion being witnessed owing to emerging trends, such as the cloud, analytics, big data, and IoT. The ribbon fiber optic cable market is expected to witness an aggressive growth, as the adoption of emerging digital technologies catch on. 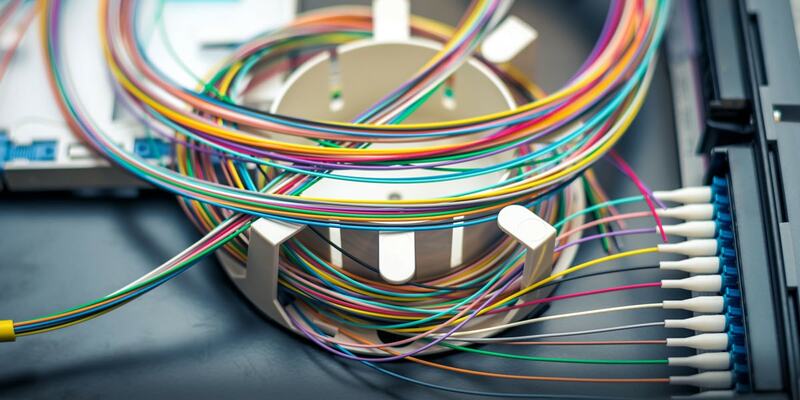 Companies operating in the ribbon fiber optic cable market are getting ample opportunities to grow due to the developing digital ecosystem and high growth of data as well as developing economies. Some of the global key players operating in this market are Corning, Inc., CommScope, Inc., Fujikura Ltd., Prysmian SpA and The Siemon Company. Also, Sumitomo Electric Lightwave Corporation, Nexans, Sterlite Tech, Yangtze Optic Fiber, and Cable Joint Stock Limited Company OFS Fitel, and LLC. For a customized research report on the market landscape, trends, and growth of the ribbon fiber optic cable market contact [email protected].